Give your home a new sense of warmth with the hardwood flooring options from our flooring store. Solid and engineered hardwood flooring always make a lasting, stunning impression in any home. From dark and luxurious wood flooring to trendy, hand-scraped flooring, we have hardwood floors to suit all styles of décor. Our floors are also an eco-friendly choice for homeowners who don’t want to sacrifice their green convictions for flooring preferences. With our extensive buying power, we have a wide variety of wood floors available at affordable prices, including bamboo, cork, and solid hardwood flooring. No matter what the budget is for your home remodeling project, you can take advantage of our stock and enjoy stunning new floors. Stop by our showroom today to view our selection. Our flooring specialists have in-depth knowledge of our entire stock of flooring options, so they can guide you to the perfect choice to improve your home. While you’re there, talk to our associates about our in-house hardwood flooring installation services. We take pride in offering comprehensive flooring services to ensure your total satisfaction. From selection to installation, rely on our team to guide you in your floor-buying process every step of the way. Hardwood flooring has always been associated with luxury. Give your home a stunning makeover with the help of our traditional and engineered wood flooring. No matter what style you choose, it is sure to boost your home’s appearance and value. Both solid wood planks and compressed engineered options exhibit the lovely grains that give hardwood floors their unique appearance. Engineered wood flooring is built in layers that provide great strength and stability while also exhibiting the characteristics of natural wood. In addition to beautifying your home, reliable hardwood flooring increases its worth in a variety of satisfying ways. For many homeowners, appraisal values go up when they install new flooring. Hardwood improves them even more. 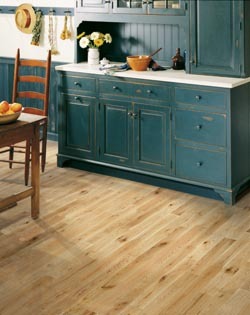 In addition, flooring can make or break a sale for potential buyers. When you choose flooring from our impressive collection, you can rest assured that your home can only benefit from your decision to improve its look and functionality. Two of the most popular flooring options for any space are engineered and solid wood floors. Each has its own distinctive style and qualities that make them an attractive option for any home. One of the best attributes of solid floors is their ability to be changed over the years. They can be refinished and recoated multiple times over the course of their lifespan and if they’re given the proper care, they could last for decades, even well into a century. As your style changes, so can your solid wood floors. If you were sure you wanted red oak when you had your original floors installed, but now you’ve decided you want white oak instead, it’s no problem. Solid hardwood offers that flexibility that is uncommon in other flooring options. Whether your style is rustic, contemporary, modern, craftsman, traditional, or Victorian, you can have it all with solid hardwood floors. If you live in an area with high humidity then engineered hardwood flooring might suit you better. Engineered floors are able to withstand areas with varying moisture levels. The basement, kitchen, and bathroom are all ideal places to install them. To stop the planks from expanding and shrinking, they’re typically made up of three or more thin sheets of wood. These sheets are then bonded together to make one single plank. More homeowners are becoming environmentally conscious when it comes to the types of products they use in their house. The same goes for the type of wood installed for new flooring. Engineered wood helps support the green movement by offering eco-friendly options for your home, which also help conserve our forests. Give your home makeover an eco-friendly touch with our hardwood floors. We sell and install a variety of environmentally friendly floors. These come in just as many beautiful styles, colors, sizes, and textures as typical hardwood floors. In addition, if you ever decide to sell your home, the addition of eco-friendly flooring will surely draw the attention of many buyers. Our blend of easy-to-clean functionality, beautiful styles, and green components makes any of our floors attractive to new homeowners. With the green hardwood flooring options we have available, you and your family can enjoy more than peace of mind. When tax season rolls around, you can also enjoy an extra deduction. You want your hardwood floors to do more than just look good. You also want them to last for decades. Use our services for hardwood flooring installation to ensure you get the most longevity out of your new surface. We perform each installation with care and precision. All of our installation experts have the knowledge, skill, and experience to ensure your floors are installed properly. Having someone with little experience install your surface could cost you more money in the long run if they’re installed poorly. Depending on the severity of the damage and when the damage becomes known, you could have to replace your entire floor and this is something we want to avoid. Our installers are some of the best in the business and we would never second-guess their work. However, we understand that anything can happen and we want you to feel protected. That’s why we offer a Confidence Plus Warranty. If, after 30 days, you’re not happy with your 4 or 5-Star rated floors then we’ll replace the floors for you at no extra cost. We also offer two guarantees. The first is our Price Protection Guarantee. If you find a product of the same style and brand at a lower price from our competitors, we’ll refund you the difference. The second is our Lifetime Installation Guarantee. If you ever experience any installation-related issues, we’ll come and fix the problem for you at our expense. These warranties are just a few ways to show how much we appreciate you, our customer and local resident. Contact us to learn more about our hardwood flooring. We proudly serve the communities of Longmont, Niwot, Frederick, Firestone, and Louisville, CO.